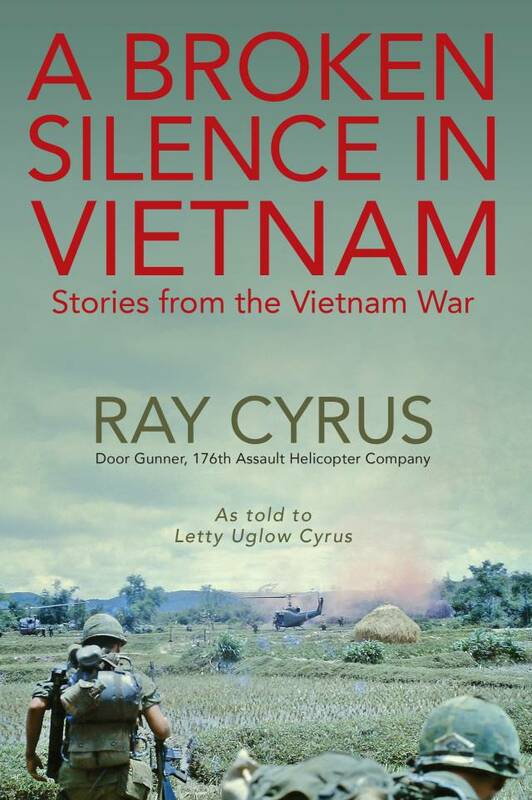 I want readers to know that A Broken Silence is my attempt to share my Vietnam experience with other people, especially the veterans who fought this controversial war. When the war ended, the country was left with bad feelings and for a long time, no one wanted to hear anything at all about Vietnam. But today across the country, we have seen a renewed interest by many who want to know what the Vietnam War was all about. So I encourage Vietnam veterans to pick up paper and pen and in your own words, join others who no longer feel they have to remain silent. The silence has finally been broken and our stories should be told. Bio: Ray and Letty Cyrus are both long-time residents of Ridge, St. Mary's County, Maryland. Ray served two tours in Vietnam, the second as a helicopter door gunner with the U.S. Army's 176th Assault Helicopter Company in 1968. 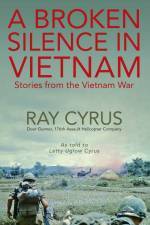 Our book includes Ray's personal war stories, from induction all the way to his discharge, and beyond. Also included are stories of other Vietnam veterans we met out in public places while Ray wore his Vietnam veteran hat. The 21 color photos in the book were taken by Ray while he served in Vietnam. A Broken Silence in Vietnam mentions people, places, and businesses in and around St. Mary's County. Since our book became available in February 2016, we have received excellent feedback from many people, especially from the Vietnam veterans. "I liked my job as door gunner. I always liked helping the ground troops. It made us feel mighty good to help those poor souls. We delivered food, cold beer, ice, and re-supplied their ammunition when they got low. If we could get to the wounded before the medevac, we did that, too. We dropped troops into landing zones (LZs) and re-supplied fire bases. We dropped flares for the ground troops at night. We dropped propaganda leaflets on a massive scale to encourage the enemy to surrender. Once we dropped a sling of ice cream on a hilltop post. We also brought what all soldiers wanted most--mail from home. Helicopters were their link to the world and survival, and it made us feel good to know that we were so appreciated. They thought we were angels."